During this first annual Happy Valley Culinary Week, chefs demonstrate and celebrate the art of cooking local food. 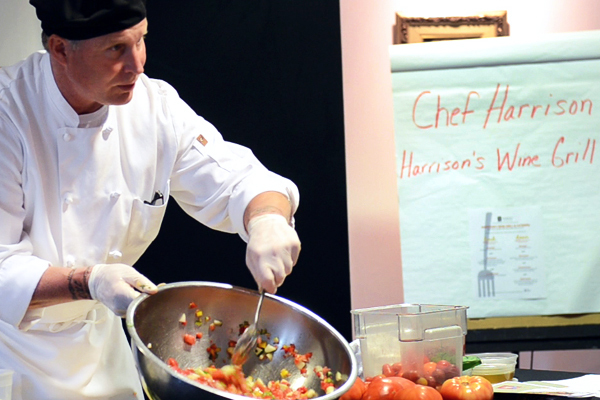 Chef Harrison Schailey of Harrison’s Wine Grill and Catering demonstrated how to make gazpacho during the event. His restaurant, Harrison’s Wine Grill and Catering, was one of several in State College and Bellefonte to offer a discounted, fixed-price menu that featured local options. As our Unpaid Field Hand pointed out yesterday, the local food scene here in Central Pennsylvania is growing as rapidly as a tomato plant in June. 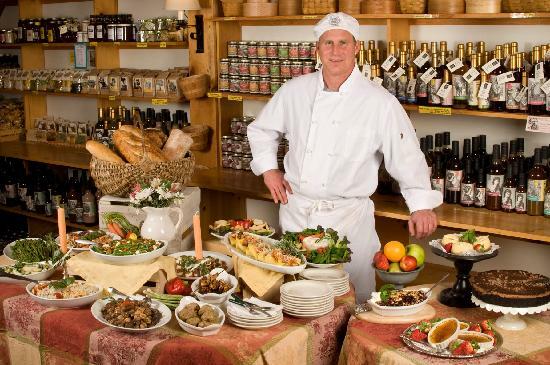 One of the pioneers and advocates of local food is Harrison’s Wine Grill and Catering, located within the State College Hilton Garden Inn. They do local food and they do it quite well, as evidenced by multiple awards for both their restaurant and their catering. 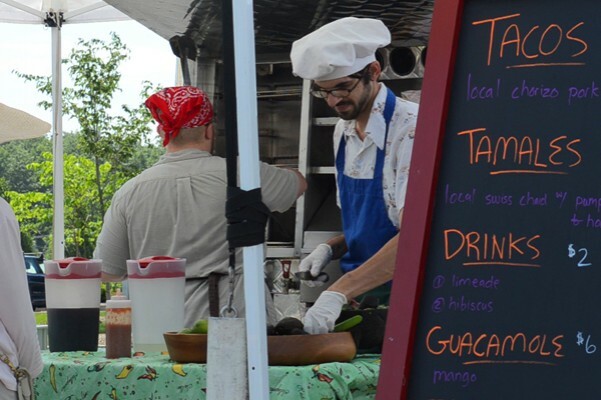 This Local Food Journey post will take a look at how Harrison’s built relationships with local farms and other vendors to become a go-to source for innovative dishes made with Central Pennsylvania ingredients.